Derbyshire-based Invictus Communications has been recognised by Fidelity Group – one of the UK’s fastest growing communications providers – for its growth and high customer service standards. Invictus Communications provides a range of telecommunications services that are tailored to individual business customers’ need to increase productivity, security and flexibility and well as reducing costs. The company won the backing of Fidelity soon after its launch in 2016, which enables it to provide customers with the best of both worlds – dealing with a local company but backed by Fidelity’s 24/7 customer support and cloud-based systems. 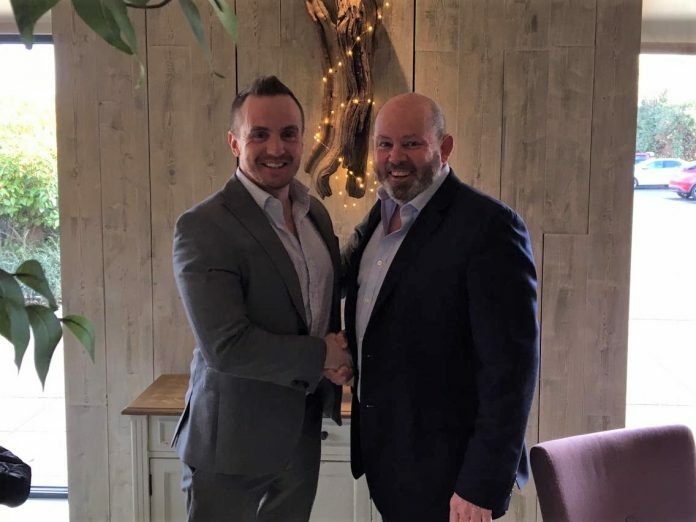 At a recent event, Invictus Communications managing director Jonny McPhee (pictured left) was presented with the award for ‘The best hosted reseller’ by Fidelity Group owner Alan Shraga. Mr Shraga commented: “Jonny and the team at Invictus Communications perfectly reflect our ethos of delivering value added solutions that are supported by exemplary service and are therefore worthy winners of this award. “ Invictus Communications have fully embraced the wealth of business and technical support available to Fidelity Group partners and ensure that the extensive range of services that we jointly provide offer the best solutions to customers. Jonny McPhee added: “In a competitive and ever-changing industry, it is vital to partner with the right company to provide products and customer support. “Fidelity Group are winners of multiple industry awards and have been featured twice on the Sunday Times TechTrack 100 so they were the natural choice.